Around this time of the year, it seems that “everyone” is celebrating and partying and just having fun, in general, right? But that is wrong. There a probably a bunch of people who are sad right now. And it could be for a lot of reasons. You could be fighting with a family member; you could have just broken up with someone; you might be missing someone; you could have just been fired from your job or it could just be one of those days where nothing seems to be going right. But after this period of self hating and loneliness, you want to feel better about yourself. And you don’t want to go call up a friend because you feel like you look ugly and gross and hence, you don’t want to leave the house. So what do you do to make yourself feel better? There are a million things you can do but I think that taking a nice long and hot shower to start of with always helps. Letting the warm water wash the grime, dirt and overall “disgusting feeling” you’ve had can help you feel a lot better. It’s like washing off a tonne of baggage, yeah? And by using a nice, sweet smelling shampoo or soap – you can stop smelling like the clothes you’ve been wearing for ages and start smelling like a new person ready to take on the world again. After this, you can do a bunch of things. You can just unwind and read a book in bed. Take your mind off whatever is bothering it and envelope yourself completely in a different world. A world where you’re someone else - a witch, a vampire, a girl in the 1700s ? Anything you want. Paint your nails a colour you would never have before! And then there is always the delicious method. Go cook something that will make you salivating before you even take a bite out of it. Or if you’re just a horrible cook – order something / get someone to buy it for you hehe. Eating delicious/good food makes you feel good too. I mean, how many of you have felt happy after eating something that tastes like dirt? There are many things that you can do in these times. And you should always remember that this feeling doesn’t last forever so don’t do something that you might regret later. I believe that for every time you’re sad; something good will come out of it. Just like how even the darkest night will eventually pass, and the sun will come out in the day. You just need to open your eyes and step out of the darkness. And if anything, you can always talk to me. I find that talking to a complete stranger with no bias can always help. What are some things you like to do when you’re just not feeling that good? Aw what a sweet post :) When I feel down, I like to just stay in my room and do something that will distract me. Sometimes it's not always good to isolate yourself but at the time, that usually seems like the best thing to do. Looking cute as per usual too! ;) Hehehe! lovely post! made my night. and i reckon a hot shower takes off baggage. a lot of it. what a coincidence. my friend's having a problem right now. i've just given your link to that friend of mine. I like watching funny movies, listening to good music or hanging out with friends when I'm feeling sad. Oh yeah~ Is that you I see on Harada's Facebook? 0.0"!!! I always allow myself a good moping session, then I take a hot shower, get all dressed up, do my make up carefully and force myself to go out and leave my house. That usually helps to pull me out of whatever funk I'm in. If I'm really down, I usually just lay in bed and watch some of my favorite TV shows. It's sometimes very hard to step out, but we just have too! And I don't know in what item your were interested in? Maybe we can work something out? when i feel down, i usually try to sleep it off.. i love sleeping. lol.. and i just usually wake up forgetting about it.. but if it's something really serious, then going shopping or treating myself to a cup of frozen yogurt usually helps my mind off of things..
oh this is a darling post, you are so gorgeous! shopping is good too, as is lots of hot chocolate and a chick flick. You're the cutest! I love your nails. You have a lovely blog. You are so considerate and understanding, you'll grow sick of me saying this but I love this! xD Your post really did cheer me up, even though I've been fine it's just a reminder that even if things do go wrong that its ok to feel down but to also try to cope with it after you've let out that tension. You're going really help out a lot of people with this post! Love the tips! Every now and then I like to write down a bunch of things to do on little squares of paper and randomly draw them out of a cute box. I usually have a lush bubble bath & read a good book when I am having one of those days. 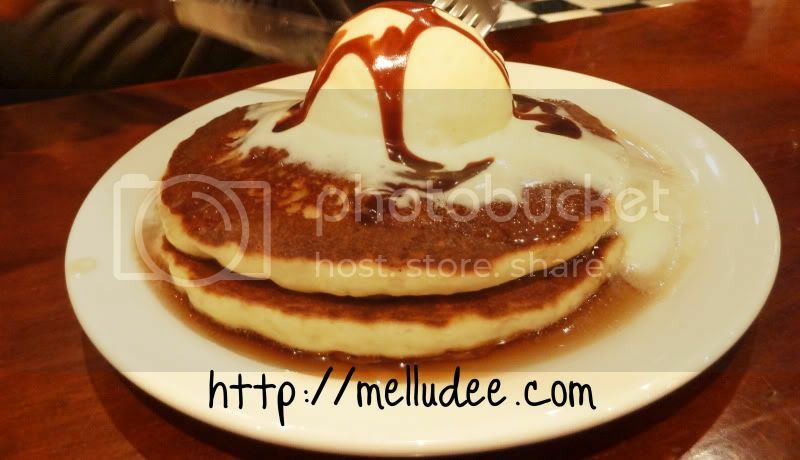 aww those pancakes… do look… so… delicious haha. Amazing post! Really and I adore your pictures, they are again beautiful! Nice to read this blog entry, it'S also sad to think about the tsunami the last two days. We should know how lucky we are and thank for everything we have. Very cute pics and you're so right with your posts! Ahh, this is a nice post. I'm glad I found it today. ^^ When I am upset, I cry like a spastic. I don't talk, but if I am forced to, I talk like a spastic (bad version). Usually after I've calmed down, I go off and do my own stuff. If given the chance, I'l probably put on makeup. I find that strangely relaxing. I used to listen to music, but not so often now. In all honesty, the best way I calm myself down is to forget the problem – it's a defense mechanism, and a not so good one. I also like being around people… though I do get what you mean by feeling ugly if you called up a friend. ^^"
Great post! This is really helpful and I'm sure someone really needed this. I go through a lot of this..feeling ugly, lonely, and unchanged, but I push through. Haha, I noticed all the cute tofu's around your room XD very nice.